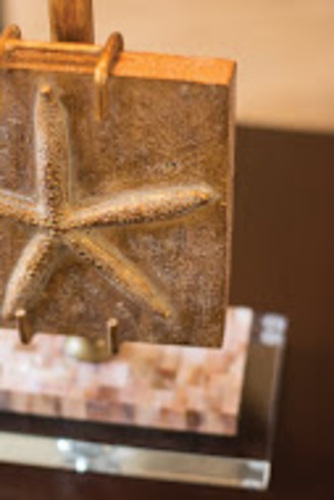 Inspired by the natural beauty of the sea and named after a beautiful Florida beach town. 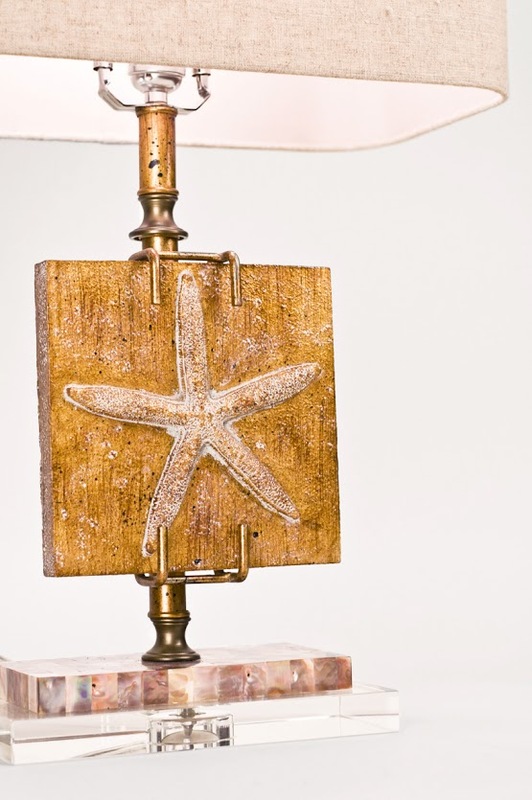 With an embossed starfish cast on a square textured resin plaque on a metal stand and pole. 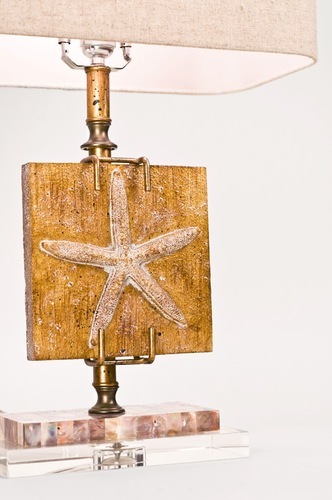 Salmon-hued mother of pearl base sits atop another clear optic crystal base. Perfectly scaled to be a taller accent lamp or a great bedroom lamp. 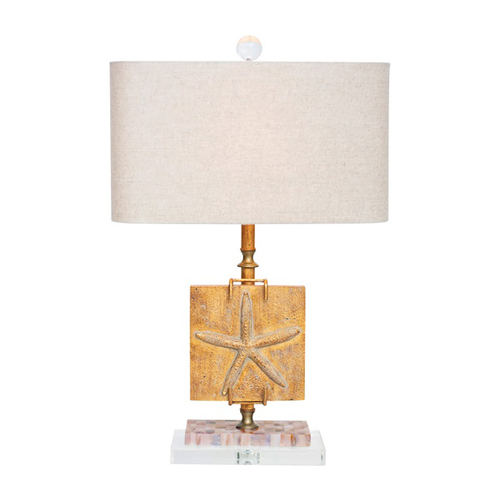 Hardback shade in oatmeal linen measures 9/16 x 9/16" x 9"H.
Lamp measures 16"W x 24.5"H.